Having made a valiant six week effort, I recently made my first Games Workshop purchase of 2016 – War Zone Fenris: Curse of the Wulfen. Have a seat on the couch as I emotionally unpack this latest adventure. "You have deeply offended us and our god. And our god is a god of vengeance, and horror... Our god is an Indian that turns into a wolf." "Yeah, that's the Wolfen, man." "Well... the Wolfen will come for you, with his razor." The War Zone series is most certainly designed to appeal to the collector, that class of miniatures aficionado alluded to in GW's quarterly reports but rarely seen in the wild. Like the others in the series, Curse of the Wulfen is a two-book, hardcover set that comes in a sturdy cardboard sheath. Like all Games Workshop products, it's glossy and beautifully illustrated. It doesn't appear to belong on a shelf so much as a lectern, maybe illuminated from overhead by a single beam of pale light. As someone who is primarily a gamer and not the aforementioned "collector," this is a bit more than I need, but I'll admit: it's a premium product. The first book in the set deals with the campaign's plot, which features the Space Wolves fighting against a demonic invasion, with guest appearances by the Dark Angels and Grey Knights. The book is very much in Games Workshop's new art style, with lots of high-resolution shots of studio miniatures and bold, comic book-style action scenes. As an older player, I miss some of the wonderful weirdness of John Blanche or Wayne England, and I think the setting is a lot poorer for their absence, but that's obviously an aesthetic preference. Space Wolf fans, completists, and those who enjoy "following" the Warhammer 40,000 storyline will enjoy this book. In a world where I might need six or seven heavy hardcover books to play my army, I don't want to say that the rules for War Zone Fenris are "conveniently" contained in a second book, but it is handy not to have to lug 120 pages of superfluous background material to the gaming table. The second book contains a six-mission campaign designed to reenact the events described in book one. As far as campaigns go, it's very basic; there are six fixed missions that will have slight amendments based on which faction won the previous engagement. Generally this would be filler content (as we've seen with uninspired faction-specific missions from past codex supplements), and there is probably not a ton of value here for most players. However, don't skip the missions completely. These missions go beyond the endless variations of the Dawn of War-style deployment. There's a mission played on a 24"x72" area representing a chase in a narrow canyon; a drop zone mission with six separate battlefields to manage (and units can move between the different sites! ); and a mission with a risk management mechanic where the demon player can gain unlimited powerful benefits at will, at the increased risk of losing the game. There are some interesting ideas here, and while we won't see them on the tournament scene, these scenarios might inspire the local clubs and garage gamers. It's difficult for me to truly gauge the extent of the Space Wolf updates as I'm not familiar with the codex, but as an outsider, I'm impressed. There's a detachment similar to the battle company from Codex: Adeptus Astartes, but in addition to a generic "Greatpack" formation, space Wolf players can choose fill out the detachment's core requirements with a number of formations representing specific Great companies within the Space Wolves chapter. 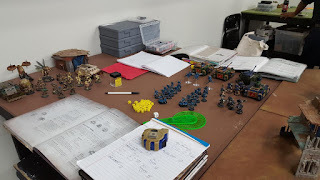 It's a great way to provide a little extra character and to allow players to tailor their detachment to their miniatures collection. 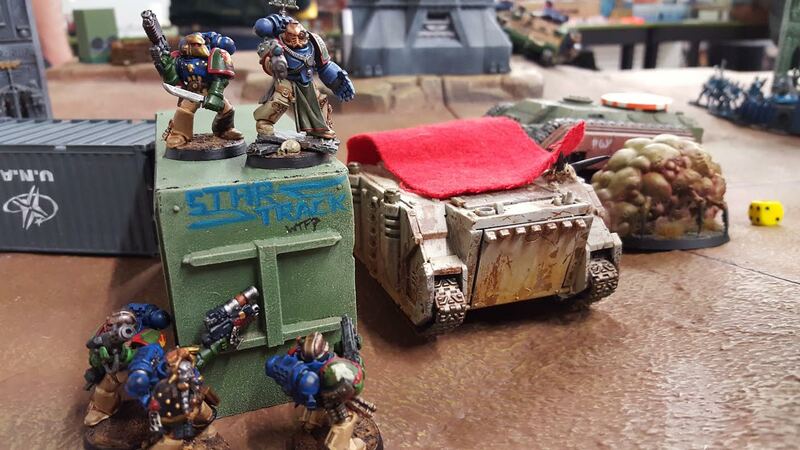 The book also allows Space Wolves to take vehicle squadrons, bringing the army list up to contemporary standards. In my mind this is the sort of thing that should be introduced in a FAQ, not a paid product, but it's nice to have. There are also some new formations with reasonable model counts – a nice boost for models that players likely already own. Finally, the Wulfen themselves return. 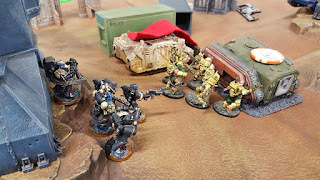 They're a phenomenal assault unit, with a boatload of special rules, two wounds each, access to specialized assault gear, and the ability to run and charge in the same turn. New units, (apparently) useful formations, and plenty of characterful choices. I think Space Wolf players will be pleased, and I'll admit this had me contemplating some outer space vikings of my own. The demonic half of the War Zone: Fenris rulebook is much more of a mixed bag. 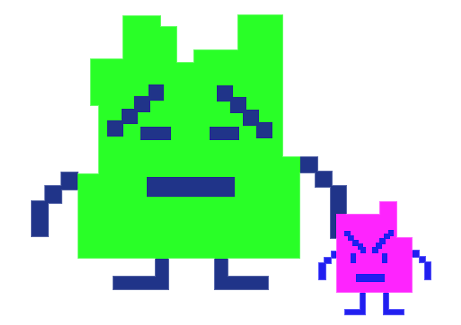 There is a demonic decurion, but frankly, the formations are uninspired and unrealistic. The detachment reads like a bizarre "12 Days of Christmas," asking players to spam combinations of lesser demons corresponding to the "sacred number" of the appropriate warp entity. In order to fill out Nurgle's core formation, you'll need some combination of seven squads of either Nurglings or Plaguebearers. Worse, the reward for completing such a feat is rather dubious. For example, Slaanesh's core formation grants +1 WS and +1 I, and allows a herald to project a locus effect out to 12", which is useful, but not an adequate reward for purchasing, assembling, and painting 60 Daemonettes (or 18 Fiends, or some combination thereof). It's not realistic to own these particular combinations of troops, and more importantly, it's not fun. For most daemon armies wishing to use the Daemonic Incursion detachment, it amounts to a lot of dead weight in the army roster, and a hefty tax, where players are punished for choosing to collect certain models. 60 Daemonettes would simply be boring; 70 Plaguebearers would be both boring and a waste of time. The auxiliary formations are more of the same, but once again, some armies make it better than others. By a strange coincidence I can field the Rotswarm, which grants a nice bonus: +3 attacks per model, on the charge, to a unit of Plague Drones or Beasts of Nurgle. I don't think most demon players would have such an odd assortment of units, but I assembled six Beasts of Nurgle simply because I liked the models, and I have a large unit of Plague Drones. But I feel bad for the player who wants an army devoted exclusively to Khorne, because he better own three Skull Cannons. Or the Tzeentch player, who needs a combination of NINE Burning Chariots or squads of Screamers. This idea of simply fielding massive numbers of the same few types of units is such a strange, boring choice – the requirements are too specific for demon players who have chosen to create a diverse collection, and too model-intensive to be of use to players who have decided to specialize. It's unfortunate, because the command benefits for the detachment are very nice, allowing you to manipulate the Warp Storm table, reroll daemonic instability(! ), and the never-before-seen ability to control an objective even after your troops have left the 3" range. These are all of tremendous use to the army list, but unfortunately, I think the detachment will be completely unusable for most players. In the realm of army selection, it's not completely grim. The three new varieties of Bloodthirster from the Khorne Daemonkin book are now viable for Codex: Chaos Daemons players as well (unfortunately, with daemonic instability instead of fearless), and the Exalted Flamer and Be'lakor make an appearance. There's nothing new, but I suppose it's more convenient this way. The main point of interest for demon players are the new warlord traits, artifacts, and psychic powers for each of the four Chaos powers. They're very characterful, and a few are quite powerful (Slaanesh can move, run, and assault via a warlord trait; Khorne and Tzeentch both get access to D weapons). A powerful choice for Nurgle involves lowering the Toughness value of nearby units, allowing Great Unclean Ones and Daemon Princes of Nurgle to inflict instant death on MEQ models. Also keep an eye out for the T10 Great unclean Ones (via the expanded Discipline of Plague) and Slaaneshi daemons that regenerate wounds with every kill. These upgrades open up a host of new tactics for Daemons, and most importantly, they're a lot of fun. As always, Games Workshop has released a slick-looking product with high production values. At $74 US, it's a bit pricy for a casual interest, but there's a lot here for a dedicated Space Wolves player. Demon players will have to use their discretion. The Sons of Russ are very clearly the stars of the show here, and while there are a few gems for the servants of Chaos, they are an obvious afterthought. Battle: Rise of the Eldar! I headed out to Redcap's Corner last night for a 1,000 point game against the ubiquitous Kingbreakers. 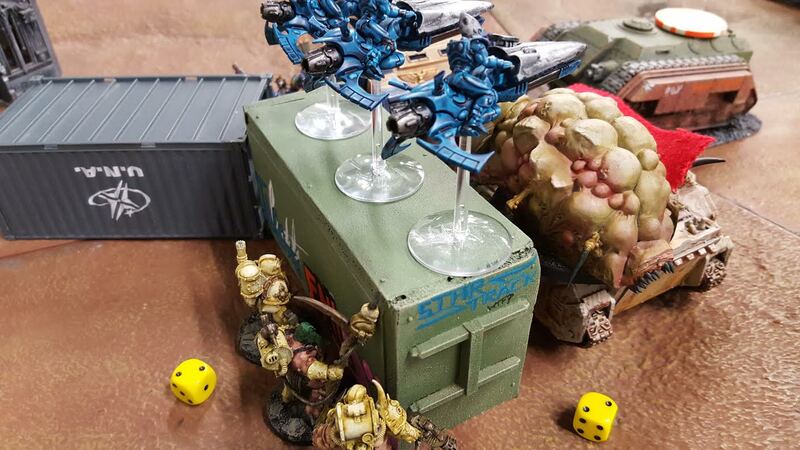 Joe has been scouring the dark corners of the galaxy for aid, because in addition to a small squad of the Legion of the Damned, he also brought some new friends – an Eldar warhost! Due to the small game size, we decided to play the Crusade mission on a 4'x4' board. I deployed first and took the first turn, moving my army up the field. In return, the plague marines' rhino was glanced to death by a tremendous amount of medium-strength dice, leaving them huddling in cover in the center of the table. 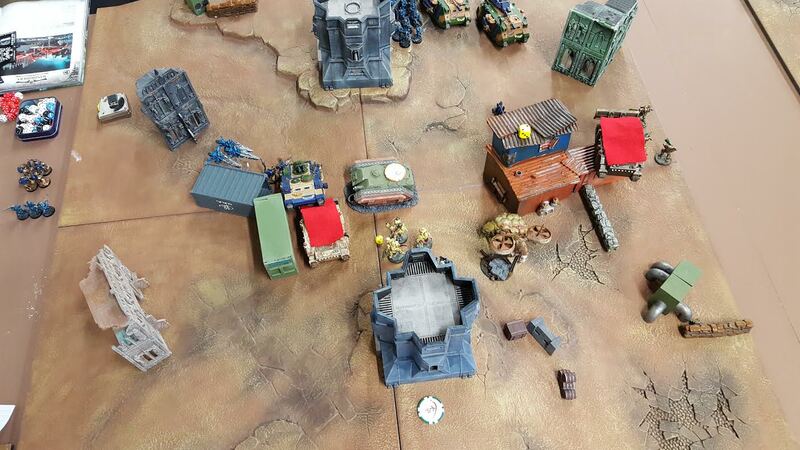 Meanwhile, Beelzu'ul and Vulture Legion continued to push the right flank. The daemon prince destroyed a predator with his strength 8 ap 1 shooting attack, but failed to successfully charge the remainder of the squadron. In return, the scatter lasers from the jetbikes sent the daemonic entity back to the warp while the Legion of the Damned materialized to hunt the chaos lord while Nytol's squad moved forward to reinforce their allies. With my push on the right flank mostly evaporated (I would lose the remainder of Vulture Legion later that turn), I turned to defend the central objective. The blight drone finally made its way to the battlefield, catching a squad of guardians with its mawcannon, only to be gunned down by scatter lasers in response. Cerberex, the remaining two plague marines, and the giant chaos spawn assaulted the Legion of the Damned, dispatching the majority of the squad, and finishing them off in the bottom of turn three. My army had taken some hard knocks, but by turn four it was looking like I might have a shot at a very close victory. I was able to catch the jetbikes in an assault, destroying them and then consolidating toward the center objective. 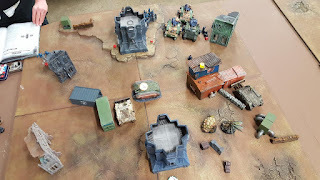 Joe cleverly moved the razorback to claim the central objective, forcing me to send the giant spawn to deal with the tank while the chaos lord and the remainder of the plague marines faced down the Kingbreakers HQ alone. Without Gutshot's bulk to lend momentum to the attack, Cerberex and the plague squad were wiped, and the giant spawn fell to enemy fire after taking out the transport. With just five bases of nurglings under my command and Joe's army more or less intact, we shook hands, ending a great game.